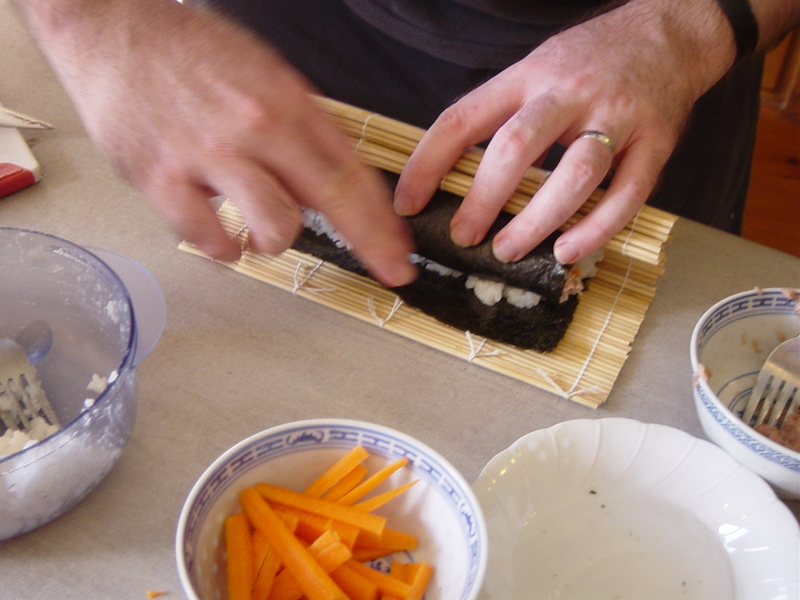 I love sushi and David has learned how to make it quite well! 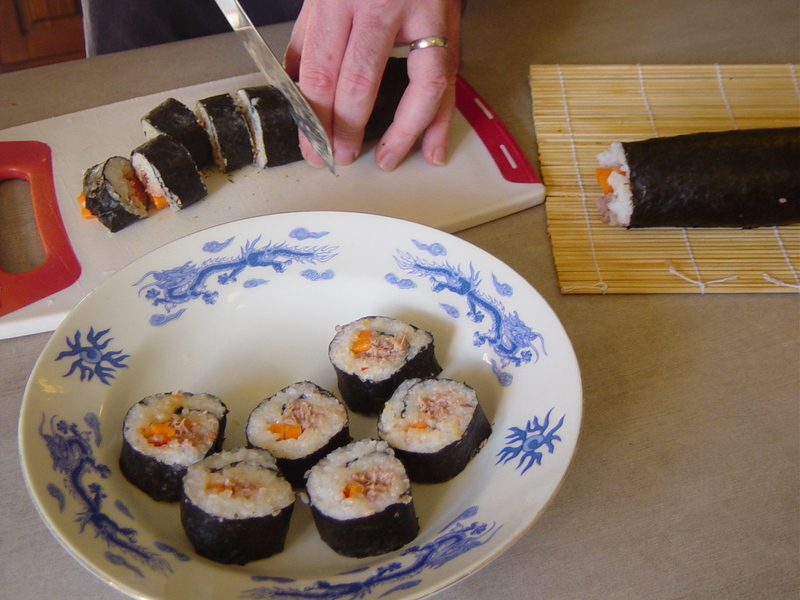 For lunch, we make 3 rolls with a simple filling of tuna and carrots. 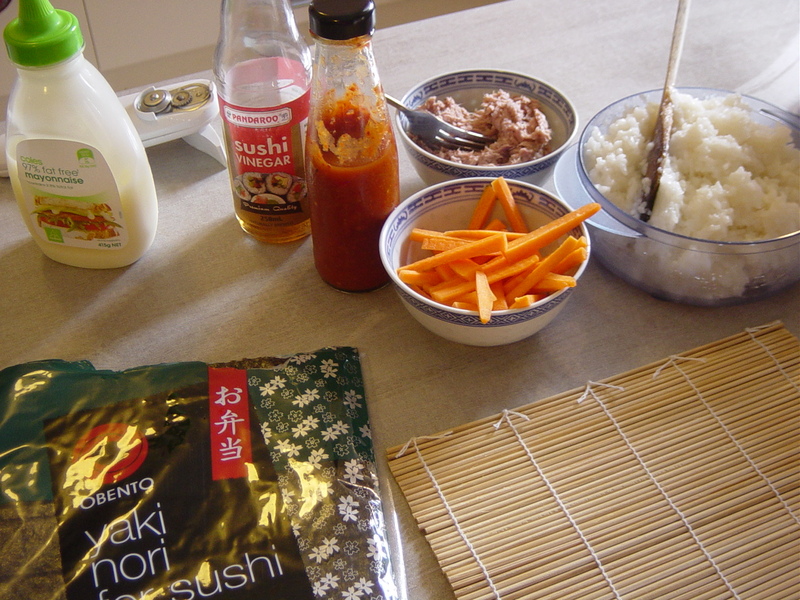 Because we have run out of wasabi, we used our very own home-made Awesome Sauce and some mayonnaise. We did try and make our own mayonnaise once, but that was epic fail so we'll have to try that again another day! 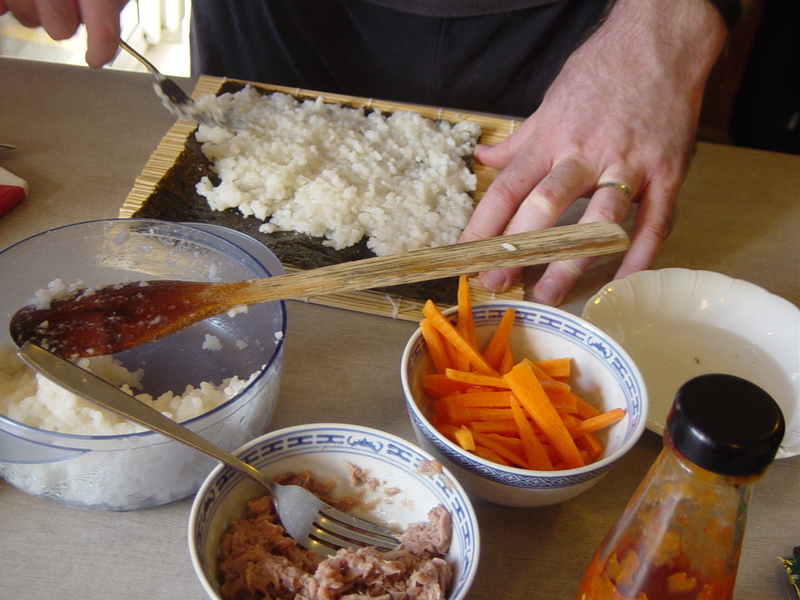 I'm David's kitchen hand, preparing the carrots, tuna, other ingredients and equipment, he prepares the rice with the sushi vinegar as I'm much more likely to screw that bit up! That looks very delicious and very healthy! We are trying to work out what to do for lunch here...I am thinking Japanese might be perfect after seeing this yummy post!